Russia summons Israel's Ambassador for clarifications following Israeli airstrikes in Syria. Russia on Friday summoned Israel's Ambassador to the country for clarifications following the Israeli airstrikes in Syria overnight Thursday, a statement by Moscow said. Israel's Foreign Ministry confirmed the ambassador had been summoned, according to Haaretz. Ambassador Gary Koren, who had presented his credentials to Russian President Vladimir Putin on Thursday, was called in for a discussion with Russian Deputy Foreign Minister Mikhail Bogdanov on the recent developments in Syria, a statement by the Russian Foreign Ministry said. News of the summoning of the ambassador came just after Prime Minister Binyamin Netanyahu issued a statement on the airstrike and said Israel will continue to act to prevent the transfer of weapons to Hezbollah. Haaretz noted that it is relatively rare for Israeli ambassadors to be called in in wake of Israeli airstrikes in Syria. Since Russian forces entered Syria two years ago, a number of attacks attributed to Israel have taken place, but in none of the cases was the Israel envoy to Moscow asked to give clarifications. Israel and Russia in 2015 formed a joint mechanism to coordinate military operations in Syria, and in particular concerning the use of Syrian airspace. 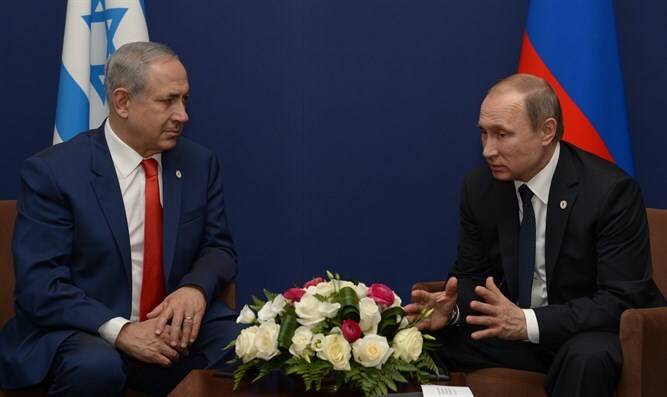 The mechanism was agreed upon during a meeting between Prime Minister Binyamin Netanyahu and Putin in Moscow.